They’re baaaaack! 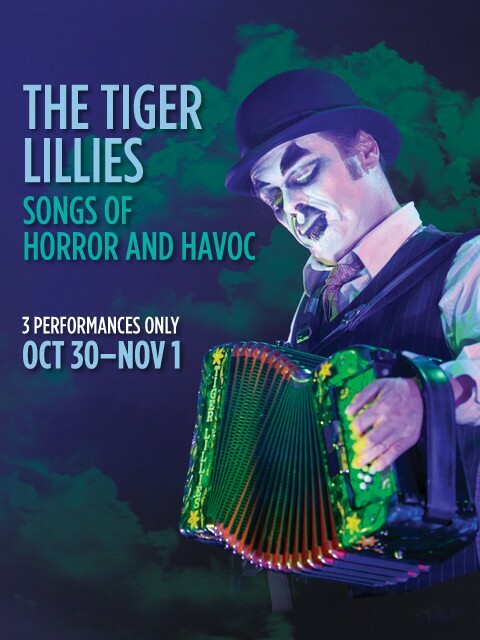 St. Ann’s Warehouse welcomes home The Tiger Lillies, the wondrously wicked cabaret icons, for an exclusive Halloween performance of deranged hits and new favorites. Nothing short of an international cult phenomenon, the Lillies fuse the spirit of punk with the passion of Left-Bank Paris and the savagery of Dickensian underculture. For deliriously demented adults and brave teens 13+. 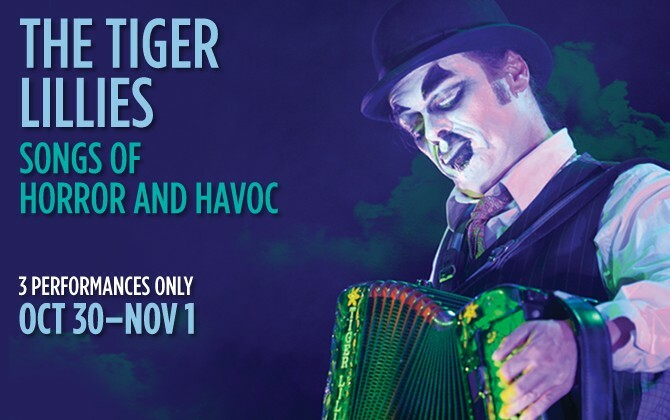 Truly extraordinary… dark gypsy cabaret shimmering with menace. Phenomenal… Martyn Jacque’s voice is a molten cascade.